Who is this Duchess of Dermis? You will hear me speak of her often. Simply told, she is a skin expert par excellance. My ear is constantly tuned to her sage advice! I will share whatever I learn from her on this FabulousBeautyBlog. What are her tips for Latisse Users? Thicker brushes tend to apply more product than necessary. Less is more. An overapplication of Latisse can result in some of the product getting into your eyes. Better application control keeps the product where it belongs, on the base of your eyelid, eliminating the concern about changing blue eyes to brown. By avoiding waste, your product will last longer.For the budget minded, ask your doctor to write a three month script rather than refilling monthly. Don’t soak the brush – just do a quick dip in hydrogen peroxide and then run your brush under cold water. 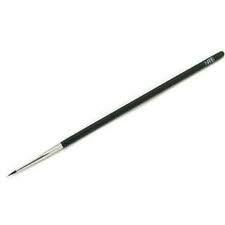 Do Not leave the tip face down in any container as it will bend the bristles making the brush useless. I would not even clean it every time, just once in a while and use it only on your eyes. No sharing with friends on this one, not even just to show them. To compare the Duchess’ directions for applying Latisse with the traditional application recommendations, watch this video. Then you tell me: Which directions make more sense to you? I am honored to have you quote from my articles, and do appreciate it if you will link back to the originals. If you are on facebook, we should meet up there. I am at http://www.facebook.com/tales2inspire. Look forward to more connecting with you. machine, or 10 minutes on an elliptical trainer every day. Hope you’ll find much of interest here. Just a word of caution – no ads or commercials please. single thing like this before. So good to discover somebody with a few unique thoughts on his topic. site is one thing that’s needed on the internet, someone with a little originality! I do not accept spam on this site, so don’t bother. All such postings will be reported. buddies ans additionally sharing in delicious. And of course, thanks for your effort!